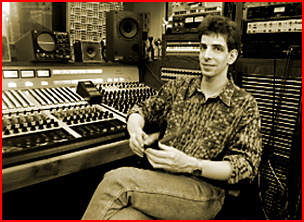 Mark Rubel, music guru of Champaign, Illinois, owns and operates Pogo Studios.A> Mark has worked with a range of nationally known acts from Mojo Nixon to the Poster Children. In August of 1997, he completed production of Hum's sophomore release for RCA Records, and began work on a Menthol project for Capitol Records. Contact Mark and Pogo electronically at pogostudio@shout.net.